BioMérieux's BioFire Diagnostics got an FDA OK for its rapid meningitis and encephalitis test, a feather in the company's cap as it diversifies its portfolio and ramps up business in an increasingly competitive market. The agency cleared BioFire's FilmArray ME panel through its de novo classification process, which it reserves for low- to moderate-risk devices with no market precedent. Regulators based their decision on three studies including one with 1,560 patients suspected of having meningitis and encephalitis, which found that FilmArray performed as well as traditional testing methods to pinpoint the infections. BioFire's test could offer an advantage over current screening methods, which sometimes take as many as three days to deliver results. Testing for CNS viral infections is even more complicated, the agency said, as many hospitals have to ship specimens and tests to labs for processing. The nucleic acid-based panel screens for 14 bacterial, viral and yeast pathogens that cause central nervous system (CNS) infections by using a small sample of spinal fluid, providing results in about an hour, the FDA said in a statement. "Testing one sample for many pathogens and potentially having test results sooner should allow physicians to use this information, along with other clinical findings and test results, to provide improved diagnosis and treatment for these very serious illnesses," Alberto Gutierrez, director of the Office of In Vitro Diagnostics and Radiological Health at the FDA's Center for Devices and Radiological Health, said in a statement. But FilmArray ME is not a completely surefire way of screening for CNS infections. The test does not pinpoint all causes of the infections or give information about which drugs would work best at treating bacterial infections, the FDA pointed out. The agency is recommending that doctors still carry out bacterial and fungal cultures of spinal fluid along with FilmArray to reduce false negative and false positive results. The FDA blessing marks a victory for BioFire, which has been working hard to chalk up regulatory wins since selling out to BioMérieux last year for $450 million plus debt. In May 2014, the company nabbed an FDA OK for its innovative GI panel. Months later, the company scored the FDA's emergency authorization for two of its rapid Ebola tests amid the global outbreak. Great Basin Scientific, Inc., a molecular diagnostics company, announced today that the Company has submitted its Shiga Toxin Direct Test to the U.S. Food & Drug Administration (FDA) for 510(k) clearance following the successful completion of a clinical trial that met all of Great Basin’s clinical objectives. Upon clearance, the test will be the only stand-alone molecular test to detect Shiga toxin-producing E. coli and the serotype O157 directly from a patient specimen. The Centers for Disease Control (CDC) reports STEC is a leading cause of bacterial enteric infections in the U.S., and in 2009, issued a recommendation that all stools submitted for testing from patients with acute community-acquired diarrhea should be cultured for STEC O157. These stools should be simultaneously assayed for non-O157 STEC with a test that detects Shiga toxins or the genes encoding these toxins. Conventional laboratory culture-based testing for STEC can be laborious and time-consuming, taking 48-96 hours to prepare and process the tests. The CDC states that prompt, accurate diagnosis of a STEC infection is imperative to reduce further infection or kidney damage, and to determine the best course of care, as antibiotic therapy in patients with STEC infections might result in more severe disease. Believed by Great Basin to be superior to alternative tests on the market, the Company’s Shiga Toxin Direct Test offers true sample-to-result testing with less than three minutes of hands-on time, no specimen enrichment step, and presents much higher sensitivity than either non-molecular or antigen-based rapid tests, thereby simplifying workflow for laboratory technicians and providing cost savings while facilitating better patient care. The Shiga Toxin Direct Test quickly detects Shiga toxin-producingE. coli – specifically stx1 and stx2 genes – in addition to identifying the serotype O157. E. coli O157 can lead to a life-threatening condition called hemolytic uremic syndrome (HUS), characterized by hemolytic anemia and renal failure. By including identification of O157 in the test, a laboratory can avoid running additional tests or expensive panels to get the definitive answers clinicians need for timely and accurate course of care, providing the means to avoid health complications that may result from misdiagnosis. “We are aggressively driving the development and commercialization of assays that provide small-to-medium size hospitals and labs with the easiest-to-use and most cost-effective molecular diagnostic platform available,” said Ryan Ashton, co-founder and Chief Executive Officer of Great Basin Scientific. “We remain focused on expanding our menu, and we believe submitting our Shiga Toxin Direct Test for 510(k) – with breakthrough workflow and more answers than other stand-alone tests – is representative of our dedication to meet the market’s demand for simpler methods and a better overall solution to infectious disease diagnostics,” Mr. Ashton continued. Once approved and commercially available, the Shiga Toxin Direct Test can be run on the same Great Basin analyzer used to perform Great Basin’s commercially available low-plex tests forClostridium difficile (C. diff) and Group B Streptococcus (GBS), and their multi-plex Staph ID/R Blood Culture panel currently in review by the FDA. Miacom Diagnostics GmbH, Duesseldorf, a company focused on the development and production of medical tests for the detection of acute infectious diseases, today announced the U.S. Patent and Trademark Office has issued a patent for their innovative DNA probes. The official U.S. patent, named “Nucleic acid beacons for in situ fluorescence hybridization and chip technologies,” encompasses a concept for the development and use of new DNA probes for in vitro diagnostics and paves the way for the establishment of novel, rapid and convenient pathogen detection procedures in the U.S. market. The patent has already been granted in other regions including Europe, Japan, Hong Kong and Australia. This patent provides Miacom with extensive protection of their unique probe design and its application in providing pathogen detection by means of multiplex FISH assays. Miacom’s technology enables identification of a multitude of pathogens by means of molecular beacons. The design of these probes eliminates the extremely laborious and error prone washing steps which often cause significant problems in traditional FISH. This new technology also increases probe sensitivity and specificity to unprecedented levels. Miacom also holds additional patents in these fields including ID/AST and resistance detection, as well as reagents for respiratory sample preparation that are either currently being developed or already available on the market. Using its broad patent portfolio, Miacom is dedicated to advancing rapid microbial diagnostics and resistance screening with extraordinary dynamics. Researchers at Ben-Gurion University of the Negev (BGU) and the Massachusetts Institute of Technology (MIT) have developed a highly sensitive, cost-effective technology for rapid bacterial pathogen screening of air, soil, water, and agricultural produce in as little as 24 hours. According to Ezra Orlofsky Ph.D, who led the research while working on his doctorate at the BGU Zuckerberg Institute for Water Research, "Rapid and reliable pathogen detection in field samples is critical for public health, security and environmental monitoring. Current methods used in food, water or clinical applications rely on labor and time-intensive culturing techniques while activities such as dairy farming, wastewater and runoff treatment necessitates real-time monitoring of pathogens in environment samples." The study, published online in the Water, Air & Soil Pollution journal (Springer) defines an accurate, inexpensive, high-throughput, and rapid alternative for screening of pathogens from various environmental samples. "This is the first study to comprehensively assess pathogen concentrations in such a broad variety of environmental sample types while achieving multiple pathogen detection with complete parallel testing by standard (or traditional) methods," Orlofsky explains. "We accurately identified Salmonella (S. enterica) in environmental soil samples within 24 hours, while traditional methods take four to five days and require sorting," Orlofsky says. "We also successfully identified a sometimes-fatal infection, Pseudomonas aeruginosa, in aerosols generated by a domestic wastewater treatment system. The results suggest that the developed method presents a broad approach for the rapid, efficient and reliable detection of relatively low densities of pathogenic organisms in challenging environmental samples." To evaluate the technology, a variety of environmental samples, including aerosols, various soil types, wastewater and vegetable surface (tomato), was concurrently spiked with Salmonella enterica and/or Pseudomonas aeruginosa. The researchers chose these pathogens because they are leading causes of illness, have high survival potential in the environment and are considered difficult to detect accurately at low concentration. "When applied to non-spiked field samples, our method outperformed the standard methods substantially, while detecting pathogens within a day of receiving the samples," says Orlofsky. "Since this focused and economical screening procedure tells us exactly where to look within a day, we don't need to monitor hundreds of samples and sub-samples over several days." The two techniques used concomitantly are an evolved "MPN-type enrichment" ("Most Probable Number") used in microbiology testing, coupled with "qPCR," (quantitative polymerase chain reaction) widely used in molecular biology to monitor the amplification of DNA in real time. "We considerably shortened previous protocols, do not use any name-brand expensive re-agents for DNA extraction and purification, and increased the procedure and workflow to segue easily from raw sample to qPCR assays," says Orlofsky. While detection in soil, water and vegetable samples was highly sensitive (as low as one cell per test), the researchers believe additional steps are required to further improve the detection levels such that they reflect low pathogen concentrations (especially ones with low infective doses) in aerosols. The researchers recommend applying this method in the future to other pathogens such as Legionella pneumophilia, (Legionnaire's Disease), Staphylococcus aureus (Staph infection) and Campylobacter jejuni, the second most common cause of foodborne illness. The third test was very different. This was a low-cost and straightforward version of a standard bacterial culture technique. Such a method is regarded as "low tech" in the world of rapid and alternative microbiological methods. With the collected data, the results were compared to a reference standard technique for detecting resistance to seven of the main anti-tuberculosis drugs. It was found that each of the three rapid assays accurately identified resistance to first- and second-line oral antibiotic treatments. Furthermore, while the results were less accurate, each of tests was effective in detecting resistance to injectable antibiotics (amikacin and capreomycin) administered in cases of multi-drug resistance tuberculosis. None of the tests fared well in detecting resistance to one drug, the injectable antibiotic kanamycin, which is also used to treat multi-drug resistant tuberculosis. Despite similarities in accuracy, the rapid tests were, in fact, very "rapid." The molecular techniques gave a result in a little over one day; the culture method took 14 days, and the reference standard test took almost 25 days to deliver a result. OraSure Technologies, Inc., a leader in point of care diagnostic tests and specimen collection devices, announced that it has made significant progress regarding the commercialization of its OraQuick® Ebola Rapid Antigen Test. The Company announced that the Biomedical Advanced Research Development Authority (BARDA) of the U.S. Department of Health and Human Services (HHS) has exercised an option to provide $7.2 million in additional funding for the Company's OraQuick® Ebola Rapid Antigen Test. This funding will be used primarily for clinical and regulatory activities required to request U.S. Food and Drug Administration (FDA) 510(k) clearance for this product. This option is part of the $10.4 million funding contract (base plus options) between OraSure and BARDA that was previously announced in June 2015. The Company also announced today that HHS' Centers for Disease Control and Prevention (CDC) will purchase approximately $1.5 million of the Company's OraQuick® Ebola Rapid Antigen Test. The CDC purchase is expected to be fulfilled by the end of 2015. CDC is purchasing the OraQuick® Ebola Rapid Antigen Tests for field testing in West Africa. This is the second such purchase of this product for field testing made by CDC. "The populations affected by Ebola are large, and current testing methods severely limit testing capacity. As such, we believe that the OraQuick® Rapid Ebola Test will be an important tool in containing and controlling the Ebola outbreak," said Douglas A. Michels, President and Chief Executive Officer of OraSure Technologies. "We are grateful to both the CDC and BARDA for their continued support." The OraQuick® Ebola Rapid Antigen Test utilizes the same proven technology platform used in the Company's rapid HIV and HCV test kits. The OraQuick® Ebola Test received Emergency Use Authorization (EUA) from the FDA in July 2015 and is designed to detect viral antigens in fingerstick and venous whole blood from patients presenting with signs and symptoms of Ebola infection in conjunction with epidemiological risk factors. Positive (reactive) results may be read as soon as they appear and have been observed as early as 4 minutes. Negative (non-reactive) results have to be read at 30 minutes. The test can be used at ambient temperatures (up to 40°C / 104°F), is easy to use with a simple visual read, and does not require instrumentation. This project has been funded in whole or in part with Federal funds from BARDA, part of the U.S. Department of Health and Human Services; Office of the Assistant Secretary for Preparedness and Response; under Contract No. HHSO100201500009C. Critical reagents in the OraQuick® Ebola Rapid Antigen Test are being supplied by the Viral Hemorrhagic Fever Consortium (VHFC; www.vhfc.org) and the Biological Defense Research Directorate at the United States Navy Medical Research Center (NMRC). The VHFC reagents were developed with the support of the National Institute of Allergy and Infectious Diseases of the National Institutes of Health ("NIH/NIAID"). VHFC members, Autoimmune Technologies LLC, and Zalgen Labs LLC manufacture the critical reagents. Using technical advances not yet developed when the 2014 Ebola outbreak began, UC San Francisco-led scientists completed a proof-of-principle study on a real-time blood test based on DNA sequencing that can be used to rapidly diagnose Ebola and other acute infections. The researchers said that the test can be used even where lab space and medical infrastructure are scarce. Charles Chiu, MD, PhD, associate professor of laboratory medicine at UCSF, led a team that detected the genetic fingerprints of Ebola in stored blood samples from two African patients who had acute hemorrhagic fever, completing the diagnosis within five hours of opening the samples--the DNA sequencing itself took just 10 minutes. Most commercially available or research-based genetic diagnostic tests target specific pathogens. But Chiu and UCSF colleagues have pioneered techniques that do not require suspected pathogens to be identified beforehand in order to detect their unique genetic fingerprints. This unbiased approach of analyzing all DNA in a clinical sample without knowing which species are present, which was used in the Ebola detection, is called "metagenomic" analysis. To obtain such quick results the researchers developed new analysis and visualization software and used it on a laptop computer to leverage an emerging DNA-sequencing technology known as nanopore sequencing. In the same set of experiments, published online in Genome Medicine on September 28, the researchers were able to detect Chikungunya virus, from a Puerto Rican outbreak, just as quickly in a blood sample from a donor with no symptoms, but who eventually reported having fever and joint pains. In another example of the technique's power, detection of hepatitis C virus in blood from an infected UCSF patient, present at a much lower concentration than the other viruses, took just 40 minutes from the start of sequencing. "This point-of-care genomic technology will be particularly attractive in the developing world, where critical resources, including reliable electric power, laboratory space, and computational server capacity, are often severely limited," Chiu said. Many companies are developing nanopore technology, which distinguishes individual nucleic acids by the distinctive perturbations they create in electric currents as they individually pass through microscopic pores. Chiu's lab group was one of the first to pay $1,000 for access to an experimental DNA nanopore sequencer made by Oxford Nanopore Technologies, called the MinION. The device is small enough to fit in the palm of the hand and is powered by a USB connection to a laptop. Last year, using a similar metagenomic approach to pathogen detection, Chiu teamed up with UCSF colleagues to solve a medical mystery that was highlighted in a New England Journal of Medicine case study. The researchers used their software and another DNA-sequencing technology to analyze all DNA in a spinal fluid sample, leading to the diagnosis of an unusual but treatable bacterial cause of encephalitis in a critically ill Wisconsin boy whose health had been worsening for months. That earlier analysis took two days. The detection of Ebola in the new study was more rapid because nanopore sequencing yields data immediately and in real time, unlike the technology used in the Wisconsin case, which takes much longer to provide data for analysis. Nanopore technology is new and still error-prone, Chiu said, but speed and accuracy are improving at a quick pace. With the time required for DNA sequencing, analysis and reporting now cut down to minutes, Chiu has set his sights on streamlining and automating the sample preparation step, which still requires several hours, for use in both clinical laboratory and field settings. "To our knowledge, this is the first time that nanopore sequencing has been used for real-time metagenomic detection of pathogens in complex clinical samples in the setting of human infections," Chiu said. "Unbiased point-of-care testing for pathogens by rapid metagenomic sequencing has the potential to radically transform infectious disease diagnosis in both clinical and public health settings." Swiss based Hutman Diagnostics AG together with its Canadian partner Axela Inc. have reached a significant goal in their nucleic acid based infectious disease detection program referred to as Alena Diagnostics. Together they successfully demonstrated multiplex detection of pathogens in a new, low cost cartridge format at levels of sensitivity, specificity and inclusivity necessary for commercial success. For this study, infected clinical samples were obtained from Hutman's network of microbiology laboratory partners in the Czech Republic, Germany, United Kingdom and Switzerland. Previously, rapid and sensitive detection of pathogens had been demonstrated using Axela's bench top Ziplex platform. This instrument uses proprietary flow though arrays in a TipChip format to efficiently hybridize and detect over 100 targets simultaneously. These new samples were tested in parallel on Ziplex and prototype next generation cartridge systems from Axela. Flow though arrays in both cases were designed using probes against novel bacterial targets derived from Hutman's internal development process. The new platform provided equal or superior results to the laboratory system but in a simple, cartridge format suitable for Point of Use applications. Having demonstrated this technical performance, Alena is now targeting initial product commercialization within 15-18 months. The Alena value proposition is compelling whether compared to existing culture based or competitive nucleic acid detection systems. 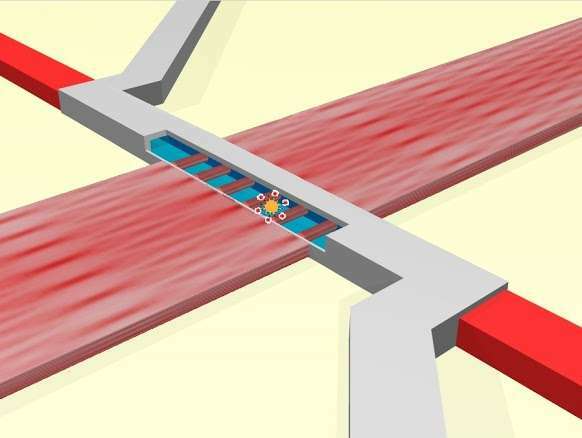 The Alena platform will be capable of multiplexing in excess of 100 pathogens on a single chip (see picture), including bacterial resistances to antibiotics and providing sample to answer results while the patient is still undergoing initial evaluation. Novel fluidics facilitate full automation in an inexpensive to manufacture consumable. The low capital cost of the instruments will allow Alena products to compete in broad infectious disease markets. Initial applications include endocarditis, bone and joint infections, abscesses, meningitis and sepsis, as well as the detection of the most prevalent antibiotic resistances. The platform's potential to provide rapid and cost effective pathogen screening in a near patient environment will represent a breakthrough in clinical protocols and patient outcome…. saving lives and reducing costs. A simple and fast chemical process developed by scientists in Montreal could allow family doctors to one day use equipment as straightforward and cheap as a diabetic's blood sugar tests to diagnose a range of diseases in minutes from their offices, instead of waiting days for results to come back from a lab. In a Journal of the American Chemical Society publication, researchers from the University of Montreal describe a novel way to detect large molecules like antibodies in blood using a quick, one-step process involving electricity and DNA. The technique could give rise to a proliferation of new so-called point-of-care medical tests — blood tests that can be performed in the field, possibly even by patients themselves, and that yield results in minutes. "Nowadays if you go see a physician to have a blood test, they'll send you to a clinic. A couple vials of blood will have to be analyzed by a technician with specialized techniques, and the results will only come back a week later," said paper co-author Alexis Vallée-Belisle, a University of Montreal chemistry professor and the Canada Research Chair in bioengineering and bio-nanotechnology. "What these tests are looking for is antibodies — proteins that are generated by the body in response to viruses or bacteria. The highlight of the technique we developed is you put a drop of blood on our electrodes, and in five or 10 minutes you can know if you have the antibody. And in principle, you can detect any antibody you want." Vallée-Belisle and his team, working with a chemist from the University of Rome, came up with a way to detect antibodies by having them bind to loose, single strands of DNA. Those single strands then attempt to pair up with nearby complementary strands to form the characteristic DNA double helix. The researchers designed the single DNA strands so that if no antibodies are present when they bind with their complementary pairs, a detectable electrical current flows. But if antibodies are present and attached to the loose strands, the current drops. The drop is so precisely measurable that the test can even be used to determine how much antibody is in a sample, instead of simply indicating its presence or absence. They call the process "electrochemical steric-hindrance hybridization assay," or eSHHA, because it takes advantage of how the DNA molecules react in the presence of other larger particles, an effect known as "steric hindrance." Biochemistry professor Kevin Plaxco of the University of California at Santa Barbara, who supervised Vallée-Belisle's previous postdoctoral work and who is himself an expert in electrochemical methods to detect antibodies, called the results "clever" and "very simple and elegant." "They're detecting the molecules in a way that has some rather interesting advantages," he said Thursday. There are currently point-of-care antibody tests on the market for diagnosing HIV within minutes, Plaxco pointed out, but they give qualitative yes-or-no results and not nuanced, quantifiable data on how much antibody was found. That might not be needed for HIV, but it could be useful for doctors treating autoimmune diseases, or for using the eSHHA technique to detect things like how much of a chemotherapy drug a patient is metabolizing so that their dose can be fine-tuned. The Montreal researchers' method would also allow for simultaneous testing for the presence of more than a dozen different antibodies, meaning one small drop of blood and one quick test would be enough to screen for almost every sexually transmitted disease within minutes, at a doctor's office. The doctor could then immediately notify the patient and prescribe medication right away if any of the results came back positive. "Currently a large percentage of people don't come back to see the results, because you need to take another appointment, so you waste a lot of time and a lot of money," Vallée-Bellisle said. He said so far, his team has shown their method works to detect five different typical "model" proteins and will soon publish research showing they can also detect three of the various HIV antibodies. After that, they're also aiming to detect antibodies for syphilis and herpes. One of the big advantages of their method is its cost: The electrodes used to detect the electrical current can be had for five to 10 cents each, and creating the necessary DNA sequences can be as cheap as $10 for a large enough strand to run "thousands of tests," Vallée-Bellisle said. "The basic infrastructure for all this is dirt cheap," Plaxco confirmed. Vallée-Bellisle said the next step in commercializing their findings will be signing up a business partner to work on developing the right niche for their work.